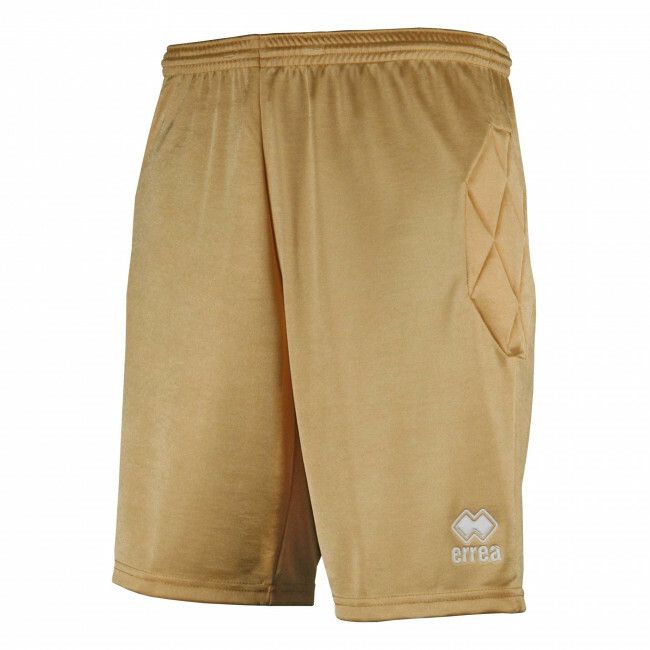 Unisex shorts for goalkeepers (boys and girls). Cut and sewn. Solid colour. Elasticated waistband with draw string. Normal fit. Specially designed for goalkeepers. Padding on the sides. Shiny fabric. 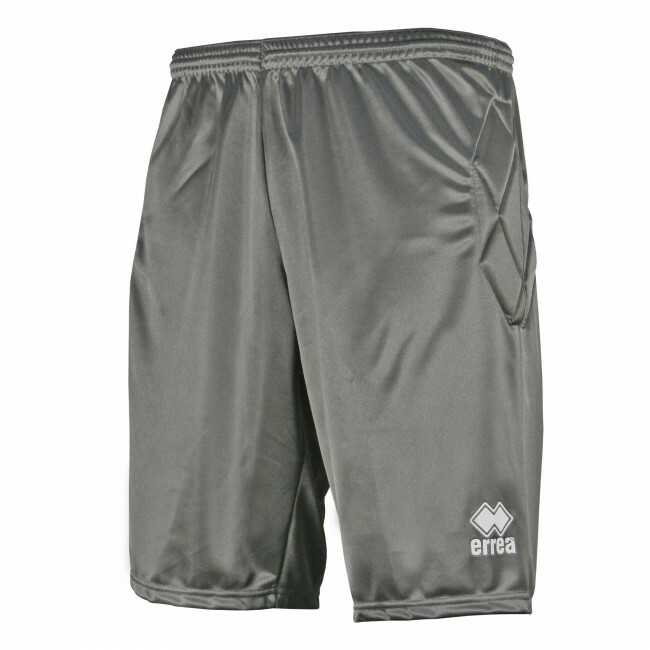 The New Ray shorts by Erreà are suitable for all goalkeepers who love to dress comfortably without compromising protection in case of dives or falls. 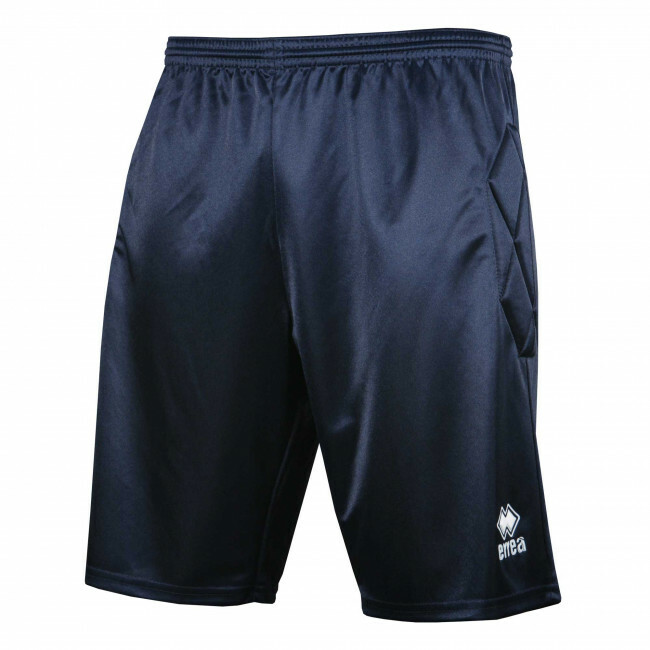 These goalkeeper knee pants (for boys and girls) provide the best protection for the last defender of the team, thanks to their side padding. 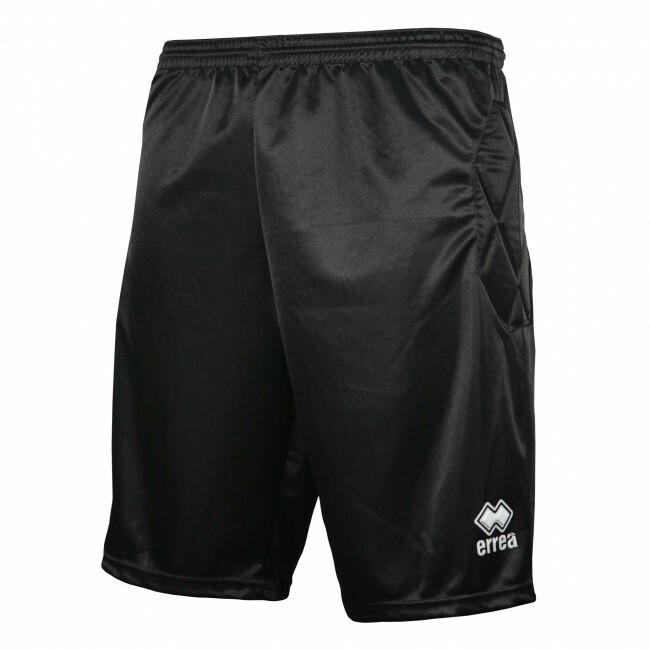 At the same time, however, they have a comfortable and snug fit, yet not too tight, and they are adjustable at the waist thanks to the elasticated band and the draw string.